Disclaimer: I was provided a pair of OOFOS sandals from OOFOS. No other compensation was received. Opinions stated are my own. As a Floridian, it cannot be understated how important finding the right pair of flip flops is. With year-round “shorts weather” and more relaxed dress codes, nothing better defines the slower pace of life than being as close to barefoot as possible. 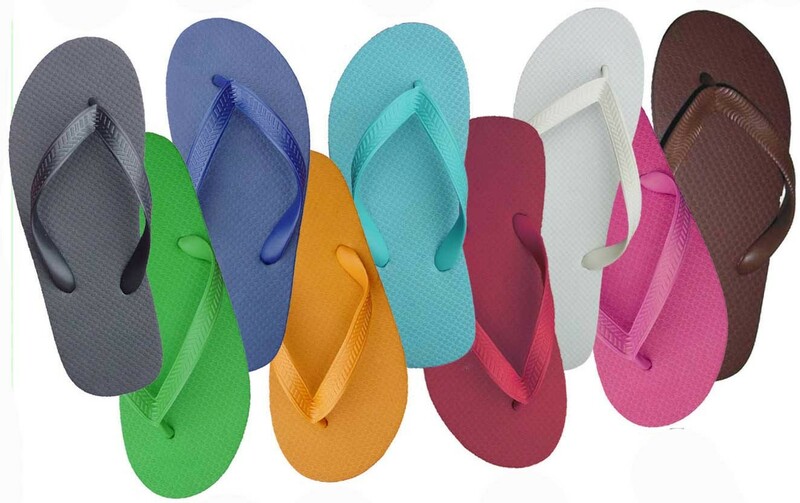 Trouble is, most flip flops only give the appearance of being comfortable and may even cause more hurt than harm. From unsupportive foot beds, to cheaply constructed designs, the standard beach-goers footwear of choice may leave the wearer in discomfort, pain, or injury. As a runner, finding the right pair of flip flops/sandals is even more important – because let’s face it – I have to take care of my feet! That’s why I was so fortunate to recently take the plunge with a brand of sandals that not only solve my Floridian need for flip flops, but provide the support and comfort between my runs and workouts: OOFOS! and a patented footbed design. With these forces combined, you get an incredibly lightweight, yet totally plush feel – almost like walking on air! I purchased my first pair of OOFOS OOrignals a few months ago, when a pair of bright lime green ones appeared at our store’s clearance center(color since discontinued) . Although the color was incredibly “in your face,” the moment I tried them on, I knew they had to go home with me – they felt that good! From then on, whenever I wasn’t running or working, you could find me in my OOFOS. Walking the dog became a luxurious experience. Going grocery shopping was like floating down the aisle. Everything seemed easier, and more comfortable – thanks to OOFOS’ unreal impact absorption and arch support. Still, that goofy bright color was LOUD. I couldn’t, in good conscience, pair them with the casual dresses and tops I wore in to the office. That is, until I received the email that would change everything! 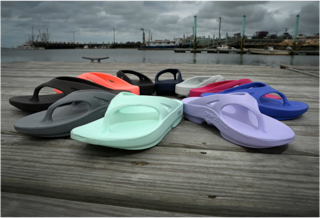 Two months ago, I was given the opportunity to try a new line of OOFOS that were to be released to the public in March – the OOFOS OOlala! These more feminine take on the recovery sandal feature a slimmer silhouette, but do not skimp on the superior comfort and arch support of the standard OOFOS OOriginals. With the glossy detail on the uppers, these black OOlalas not only make my feet smile, but they prove to be refined enough to wear to work as a classic sandal – and though they’re helping me recover, to the untrained eye, all they look like are cute shoes! Since receiving my black OOlalas, I have all but phased out wearing flats or heels to work, finding ways to incorporate these fashionable, and totally functional sandals into my daily rotation. 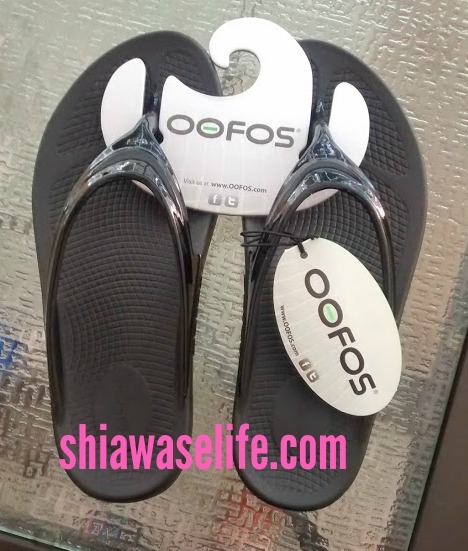 These days, it’s safe to say that whenever I am not wearing running shoes, you can bet that OOFOS will be on my feet – whether it’s my OOlalas to work/run errands, or my OOrginals for household chores/walking the dogs. What are your go-to footwear for comfort? I had the privilege of reviewing Oofos 3 years ago, I’ve since purchased two pair to replace the ones I wore out, but, before I wore then out, they’d gone probably 10,000 miles easy, almost from sea to shining sea! I LOVE the new flip flops. I ordered a pair of OoCloogs about a month ago, I’m a delivery driver, I refuse to wear anything else. Where can I find the above flip flops. The ones featured in the shiasaelife.com size 39?